Country Road has taken a laid-back and relaxed outdoor living approach to their new Child High Summer Collection. STYLEM would love to share with you an exclusive mini Q&A from Country Road’s Managing Director Sophie Holt as well as the gorgeous child campaign imagery. Check out this adorable new collection in store this week. What are your favourite styles from the Childrens High Summer range? 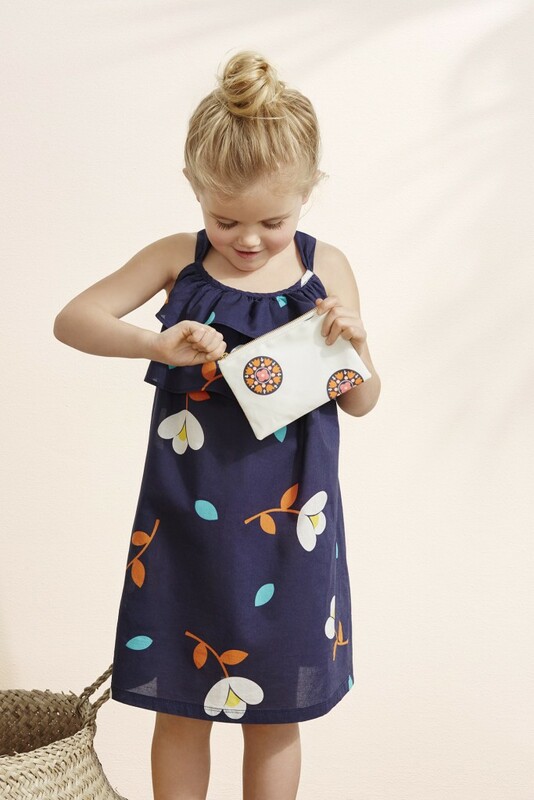 The boho-chic off the shoulder tops and embroidered dresses for girls are so sweet this season. I love the tan gladiator sandals and raffia hats that are on-trend as well, and swimwear pieces are standout with a cute retro vibe through stripes and vintage prints. What’s your favourite thing to do with your children in Summer? Summer means all three children are home and it feels really special just doing normal everyday things. I love that buzz about the house when the kid’s friends come over and we have unplanned nights out and BBQs – simple things feel extra special in summer. What updates have been made to the Child Homewares for High Summer? We have included metal shelves in white, mint and persimmon that are the perfect base to style up little corners and add newness to children’s room. stylem is an Australian fashion & lifestyle brand and magazine that inspires stylish, healthy and happy lives.